This intermediate episode is a vocabulary pill and we will learn vocabulary related with cooking. We will the use it to cook a special Portuguese dish. How to say the ingredients. The topic today is vocabulary related to cooking. You will learn a delicious Portuguese recipe in the next episode, I'm sure this will boost your appetite. 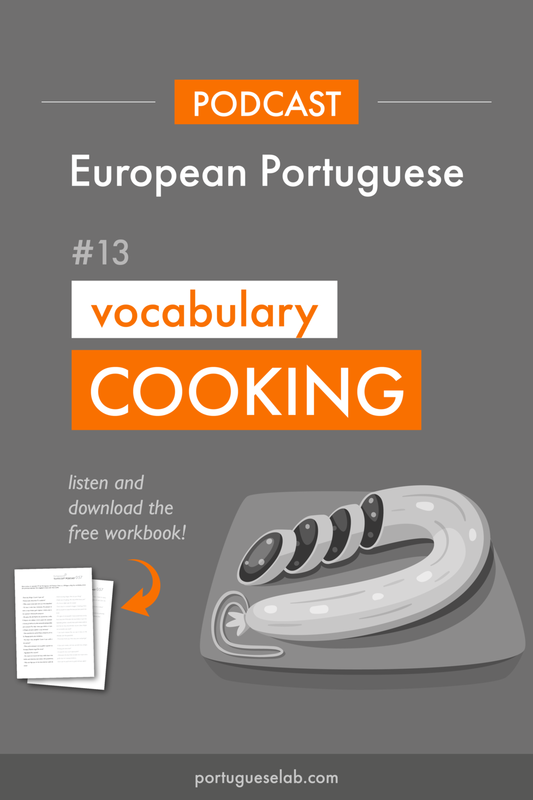 It's called Bacalhau à Brás, and it's one of many typical and easy dishes to prepare. First the ingredients you will use in the recipe. I will mention the article and the plural of the noun, if applicable. As always, the Portuguese word is followed by the English translation. These are the ingredients for our recipe, some are recurrent in the Portuguese Cuisine, so it's a good idea to memorize them. Some of my students don't like garlic, if this is also your case, let me warn you, you will have trouble here finding something to eat without it. Now, the actions we will be doing while cooking. We will not need all of the following verbs for our recipe, but they will be important for you in the future, I am sure!